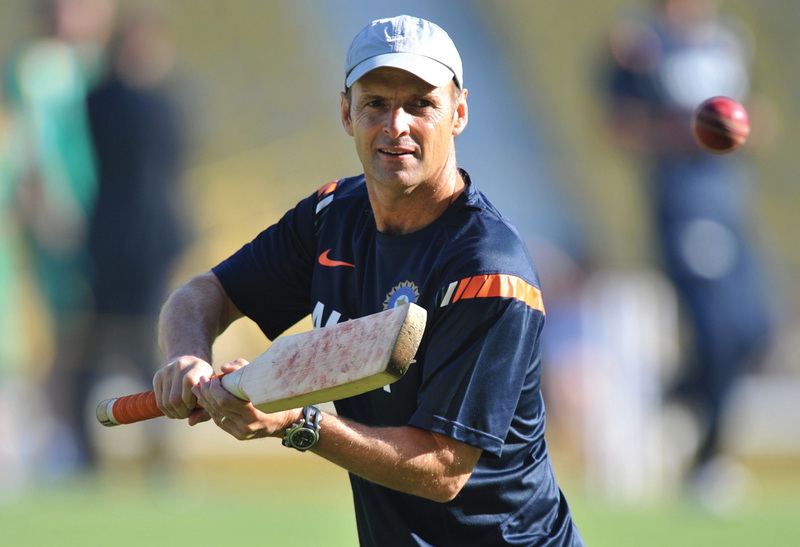 Few South Africans, and even fewer cricket fans, need an introduction to GARY KIRSTEN. An icon worldwide for his left-handed batting and his patience, he is one of a tiny band of global players to have played in more than 100 test matches. Fans also revere him for having scored a century against every test-playing nation in the world. After retiring from the Proteas in 2004 as a player, Gary hit the headlines again when he coached the Indian cricket team to a stunning win of the 2011 ICC World Cup. ‘I grew up in Rondebosch, Cape Town. My father was a civil engineer and later became the groundsman of Newlands cricket ground. We lived in the stadium and played on the ground all the time. I used to boast that I had the biggest back garden in the world. It sounds idyllic, and in many ways it was, but not every aspect of my growing-up life was quite as perfect. My parents had a tumultuous marriage and split up twice – the second time, they got divorced. My dad died very suddenly of stomach cancer when I was 18. I’d been living with him at the time and needed to find a new home immediately. A teacher at Rondebosch Boys’ High School, which I attended, let me live in his house for six months, and then I moved around a bit. Funnily enough, at Rondebosch Boys’ Prep, I had quite a strong sense of God. In Standard 3 and 4, I would get together with a couple of mates and have bible studies, but once I hit high school I needed to become one of the jocks and completely went off Christianity. I was captain of rugby, captain of cricket and a prefect. It all just worked for me. It was the same at UCT, where I was studying for a BA – it was a loose life! I never got into drugs or anything, but I certainly enjoyed a good party – and all that comes with it. It was at UCT that my career got going. I was 21 and had just got 100 in a game when the coach asked me, ‘Do you want to further your cricket career?’ I didn’t know. I had no aspirations at all. But he got me thinking, and I started putting a whole lot more time and effort into my cricket. After a few successful years as a first-class cricketer for Western Province, I was privileged to be selected for South Africa and to tour Australia in December 1993. This opened the door to many years of playing for my country, which was an incredible honour. With this, however, came the trappings of living the high life of an international sportsman, and I certainly found myself quickly immersed in this lifestyle. I was a Springbok cricketer on the prowl when I spotted Debs in the Green Man, a watering hole near UCT which was very popular with students. She was breathtakingly beautiful and I thought, ‘I’ve got to pursue this.’ I asked a friend to introduce us. We had a good chat. Five months later I walked, by chance, into a restaurant in Cavendish Square where she was working. She had split up with her boyfriend by then, and I called her a number of times. When she eventually came out with me, I knew on the first date that she was the girl I wanted to marry. After we’d been going out a while, Debs said, ‘If we’re going to pursue a future together, I need you to understand who I am spiritually, and my Christian beliefs.’ This began a process of my beginning to reconnect with God and ask serious life and spiritual questions. Sometime later, I signed up for an Alpha course where I had heard non-believers could go with their questions, and I felt a bit spiritually clearer coming out of that, but I had no overnight spiritual experiences, and faith was a slow journey for me. I do, however, remember having a specific moment in Pakistan when, despite my career doing really well and my having a great relationship with Debs, I realised I wasn’t being fulfilled by this ‘great’ life. I needed more purpose to my living. I had just read a book called The Purpose Driven Life by Rick Warren and was starting to think I wanted a life of more purpose and meaning rather than self-fulfilment. I decided to make a definite life-commitment to God. But I was very scared of the changes I thought I would need to make. However, one of the great things I discovered was that God will accept you however you are, and change becomes a natural process from the inside out. One thing that helped me relinquish my life and career to God was an experience I had in 2000 when I was battling for form in my cricket. There was a lot of pressure in the media for me to be dropped, and my confidence was at an all-time low. But I was picked to play against the visiting England team, and once again got only a trickle of runs in the first innings, and South Africa was ultimately forced to follow on. Debs is very good when she sees I am nowhere, and we had a time of prayer that night. I said, ‘God, do what You want to do with tomorrow, take control, I don’t think I have anything to offer.’ When I walked out the next day, I thought this would be the last day of my international career – I had relinquished it all to God. But something happened. The first ball hit the middle of the bat and went to the boundary for four. And so it went on. To cut a long story short, I ended up batting for 14 hours, the second longest period in test history. It saved the test match, we won the series, and it saved my career. I played for another five years. I tell this story not because it’s about God resurrecting my career, but because I came to the point where I realised that this talent and this life are God’s, not mine. He’s in control, not me. It was a great step for me, learning to offer every area of my life to Him. Happy days in Mumbai. 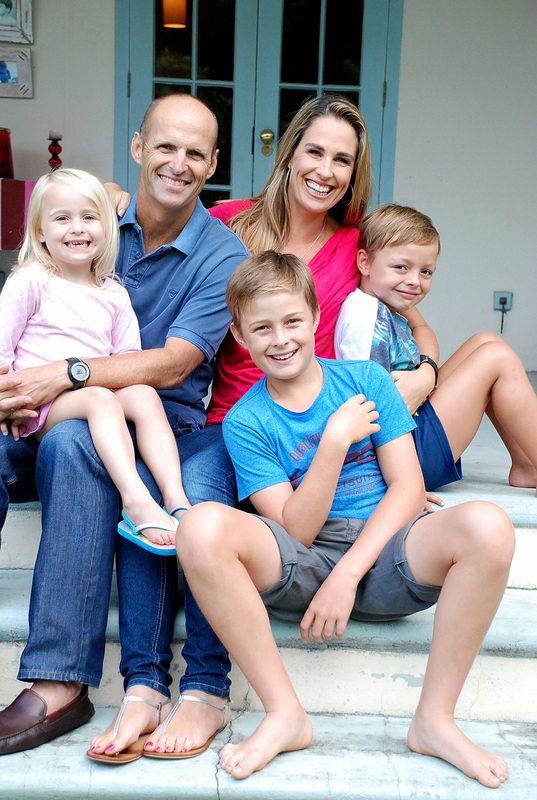 The Kirstens broke new ground for international cricket coaches by asking for more family time. The whole Hansie Cronje saga [former South African cricket captain Hansie Cronje was discovered to have been accepting bribes to manipulate matches] happened when I was relatively new in my spiritual walk, and I looked up to the likes of him as a Christian leader. It was traumatic but it didn’t put me off Christianity. I realised we’re all fallible and make mistakes. I never applied for the position of Indian coach. I was running my own cricket academy at The Sports Science Institute in Cape Town when I got a bizarre email out of the blue from Sunil Gavaskar, a legendary Indian cricketer, who said the Indian team was struggling to find a head coach and would I consider the position? There was no context to it, I think they liked the way I had played in the sub-continent, but they didn’t know me as a person and I had no experience of coaching teams. Just three weeks earlier I had said to Debs, ‘I think I should go and help out at UCT cricket’, and suddenly here I was being invited to coach the biggest cricketing nation in the world! I thought it was a joke, and didn’t respond until I got a second mail. I flew to India for the interview. It was quite funny as it was meant to be shrouded in secrecy, but by the next day my cell started ringing and I had over 200 calls from people saying, ‘I hear you’re the new Indian coach.’ I hadn’t even accepted the job yet! Once I joined the Indian team, my main tactic was to try to be an example in who I was as a person. It was important for me to connect with the players, and come to understand their culture and each one of them as an individual. I needed first to build their trust in order to have any significant influence on them, and then help them understand the value of playing as a team. I tried to encourage them to see that there was value in the guy who brought them their tea in the change room. If I carried one of their bags, they were blown away – even embarrassed! I tried to be very real with the players and just take the job one day at a time. Just get into a daily process of showing them how to be. I didn’t boss them about being late. I just made sure I was the first to arrive and the last to leave. There’s a great line in the movie Rambo when someone asks, ‘How are you going to live, John?’ Rambo answers, ‘Day by day.’ That’s all I could do, too. After years of separation, Gary and Deborah relish life at home with Joanna, Joshua (middle) and James. Professional cricket is not at all geared to family life. 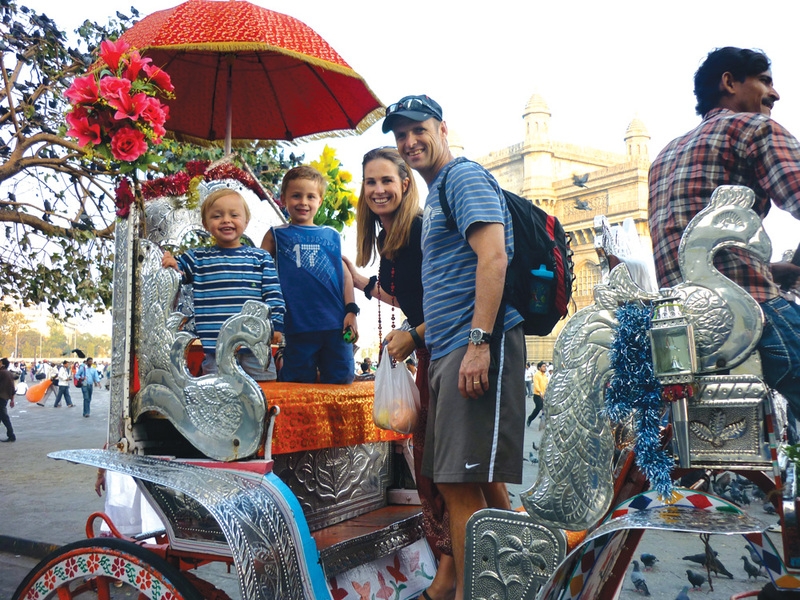 There were times when I wouldn’t get home for four or five months, which forced the family into a very hectic life of travel to and from India. Cricket has the highest divorce rate of all, maybe because you don’t have a home base like other international teams. One of the struggles we had from a family perspective was that I felt the team and the job demanded huge amounts of my mental, physical and emotional energy. I wanted to connect with them on every level, and knew as a leader you can’t compromise yourself, so that was hard for us as a family. Even though Debs and I saw each other quite often, amidst the stresses, pressure and crazy lifestyle it was often hard to have meaningful connections. When we won the World Cup in 2011, the next thing I knew, the players were holding me up on their shoulders. To be honest, I felt a little uncomfortable. I never thought I would push their buttons to become the best cricket team in the world. They had a new young captain who was very vibrant and he was a big factor in the equation. When I left India, I could not believe how drained I felt, even though I was in good physical condition. I hadn’t realised how much it had taken out of me mentally and emotionally. But what a privileged experience it was, and it has left me with many cherished memories and life lessons. Soon after that I began coaching the South African cricket team. This was a massive privilege for me, I’d always dreamt of coaching my own country. I loved the work and more specifically the interaction with the players. What a thrill it was when we reached number one in the world in the Test rankings! But with all the thrill of the daily work, the pressures it placed on our family life just became demanding. By now we had added a third child to our brood and the demands on Debs to manage our home life –predominantly as a ‘single mom’ – became too overwhelming. I also got to the point where I really felt I needed to step in as a father and as a husband and be there more for my family. So in 2013 I chose not to renew my contract as head coach. I now run my own academy, the Gary Kirsten Cricket Academy, which affords me the opportunity to be more present in the life of my family and also to get fully involved in my foundation which, amongst other things, works towards installing cricket nets in township facilities. I have recently (2017) taken on a contract to coach the Hobart Hurricane’s in Australia during the 6 week T20 Big Bash competition. This will be an exciting venture and I head off to Australia for two months over December and January. The family will join me there over the December school holidays. ‘I was very fortunate to grow up in a wonderful Christian home. It was not a ‘religious’ home with big rules and regulations, but rather my parents created an environment where a relationship with Christ was the most natural way of life and living. So despite doing the usual naughty teenage things, I always felt an accountability to something bigger than just my parents. But in my early varsity years, I found myself in a relationship that became quite destructive and while I felt God saying, ‘This is not right for you,’ I just couldn’t walk away from it. My fellowship with other Christians and even my church attendance became quite sporadic and I knew I was compromising who I essentially was, and had been brought up to be. Things culminated in a terrible car accident. I went through the windscreen when my boyfriend was driving, and smashed my face up. I sat in the hospital with the prospect of not having much of a face left, realising I had put my boyfriend in the driving seat of my life, literally and figuratively, and that when you replace God with someone or something else, things can go horribly wrong. CS Lewis said, ‘Pain is God’s megaphone to rouse a deaf world’, and the trauma of that night certainly got me listening! I realised how life had been pretty easy for me, and that I might never be able to use what looks I had to get me anywhere again. If all the props are taken from you, what are you left with? Only God. Soon after that I made a decision to end the relationship and put God 100% back in the driving seat of my life. Miraculously, my face did recover and you can only see one or two small scars if you look very closely. Soon after this, I met Gary. I was very wary of the rumours and reputations surrounding international sportsmen, so for weeks I avoided his calls. But after much perseverance on Gary’s part – and even more pressure from the guys I was sharing digs with, who kept saying, ‘What are you doing? 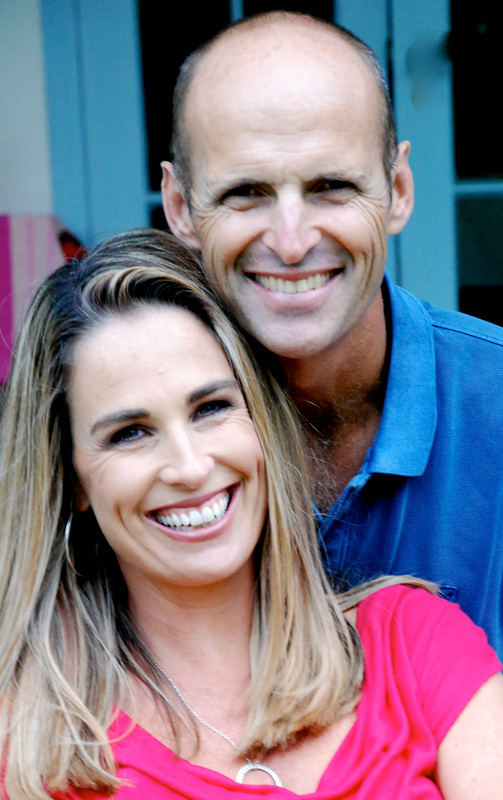 You can’t turn down Gary Kirsten!’ – I eventually agreed to go on a date with him. Win or lose, Gary has incredible humility, and that’s probably what made me fall for him. He was always in demand for a photo or an autograph wherever we went, and it was quite a crazy life to come into, but I saw there was something deeply genuine about his heart and who he was. We got married four years later. The separation was very tough from a family perspective. South Africa’s not an easy place to live on your own. 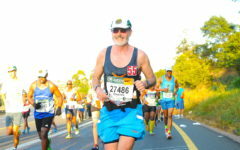 My parents live in KwaZulu Natal and Gary’s mother, who lived locally and was fantastic with the kids, died very suddenly of cancer shortly after the Indian job started. Gary’s step-dad often helped with the boys and my friends were a great support to me, and I just had to be very confident and independent. We established a 21-day rule that if Gary couldn’t come home, after three weeks I would go to him with the kids. So we were pretty much on the road every alternate month. I think if we hadn’t done that, things would have become quite destructive. Gary definitely broke new ground – I don’t think there has ever been an agreement before for a coach’s family to be with him so much. Even so, it wasn’t easy. Gary was amazing. Joshua was four and James was nine months old when he started the Indian job. He would walk into our hotel bedroom full of chaos, with me making two-minute noodles for the kids in a kettle, and he’d be relaxed even though he had an international team to prepare. I think Gary showed a way to be a husband and father, with a high value on his wife and children, that was quite unusual for the team to see. When India won the World Cup, it was a fairytale ending to an incredible experience, and we feel very blessed in this, but we came home both emotionally and physically drained! Then came the South African coaching job. Gary loved the work and it was an incredible coaching opportunity for him, but with two little boys and now also a newborn, both the travel as well as the time apart from Gary was not easy. 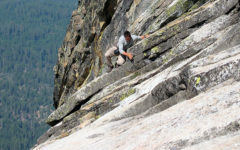 But Gary’s mantra for the family is ‘Always live on the edge of your comfort zone’, and we had a deep sense that this is where God wanted Gary to be. If we’re at the centre of God’s will, we know we’re in the right place. As tough as it was from a family perspective, it was a wonderful two years and Gary was sad to leave the job. But we were beginning to see some real cracks in our family relationships and knew without a doubt that we needed to make some tough decisions. We’ve always turned to God for guidance and I don’t know where we would be in our life without this. Much of our family life has been lived ‘outside the comfort zone’ and we love this as it helps us to rely on God even more – He has never failed us. It seems to me that whether we are brought up to know God or not, there comes a point when we all have to ask ourselves: ‘Am I going to give God a chance to steer the ship, or am I going to keep doing it my way?’ People have such fear that if they give things over to God they’ll have to change, but the amazing thing is that He changes us from the inside so that we actually want to change! It’s not forced, it’s like He’s a master potter gently moulding us. Life post international cricket and coaching has opened up some amazing new and interesting opportunities for us as a family. 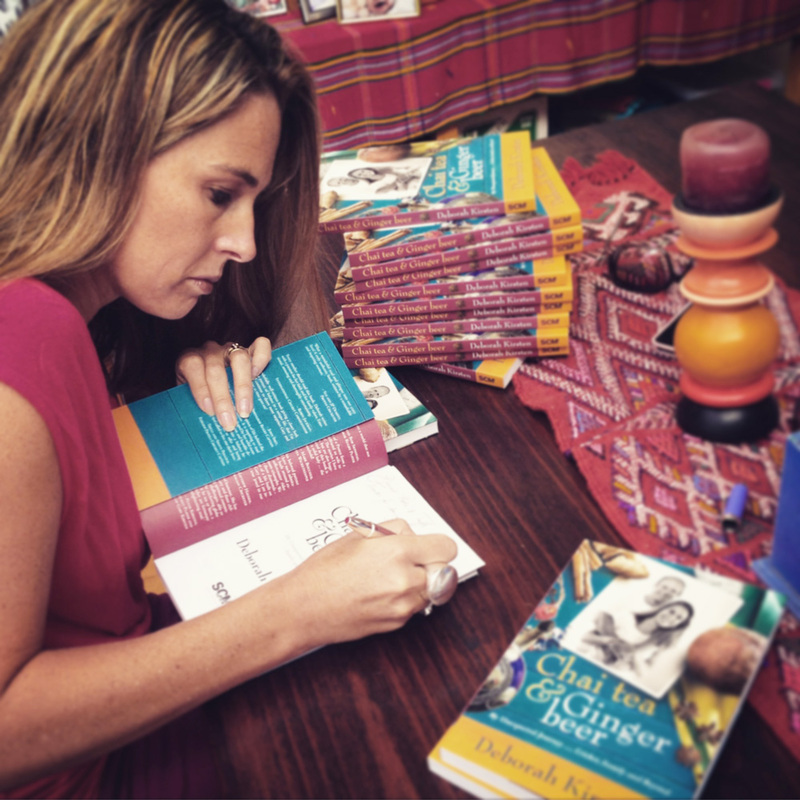 For me personally, one of the greatest was publishing my autobiography, Chai Tea & Ginger Beer, a few years ago. This tells of our many experiences as a family – the highs, the lows and all the lessons learnt. It has been an incredible journey and privilege. The book is now in its third print in South Africa and we also launched it in India. Life with three children (and one a teenager!) keeps me very busy. Along with this I now work predominately as a motivational speaker. 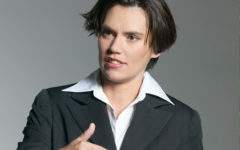 I also run courses and workshops with friend and colleague, Jacqui Mol. This concept is called Living your Strongest Story (www.strongeststory.com) and is geared towards helping women live more intentional and fulfilling lives amidst the many demands placed on them.